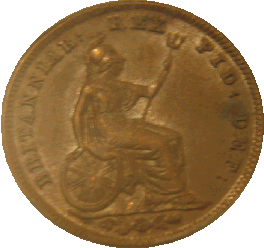 The reverse was the same as that used in George IV. It was only issued for one year only 1835. 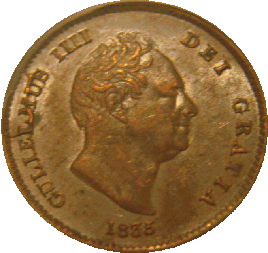 1835 Copper, 1.57 grams, 16mm Diameter.